Shifting preferences in snack foods and consumer attitudes heighten the demand for packaging equipment that’s built for speed and flexibility. 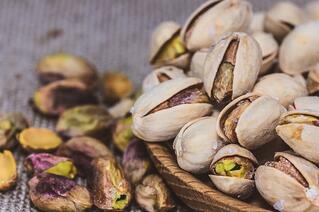 Snacking is more than just a between-meals treat, it’s evolved into a bona fide phenomenon. Busy schedules and consumers in search of delicious, portion-controlled food options are increasingly turning to snack foods to conveniently fill nutritional gaps and, in some cases, replace meals altogether. According to a 2015 report "Snack Foods - A Global Strategic Business Report" published by Global Industry Analytics, Inc., the global market for snack foods is projected to exceed $630 billion by 2020, driven by robust demand for functional snacks, and rising popularity of protein-fortified, organic and natural ingredients-based snack foods, such as bars, chips and cookies. Sweet snacks are a perennial mainstay however savory snacks are also booming, thanks to the ongoing consumer penchant for health and wellness, and industry projections from Global Data's 2016 "Global Savory Snacks Report" expect the segment to reach $138.2 billion US by 2020 – a CAGR of +7.9% from 2015’s $94.5 billion valuation. From a retail perspective, categories don’t get much bigger than salty snacks like jerkies and chips, which generated more than $27.5 billion in sales for the year ended Feb. 25, 2017 according to projections from The Nielsen Company, outlined in their 2017 "How Food Trends Translate in the Chip Aisle" report. Another 2017 Nielsen study "On-The-Go Produce Snacking" finds that snackable packages of fruits and vegetables represents a $1.1 billion snacking sub-category, posting a compound annual growth rate of more than 10% every year between 2012 and 2016. To keep up with growing sales, manufacturers and retailers have added 900 new snacking items to grocery shelves over that period, 600 of which were individual-servings of fresh cut fruit—with and without additional items. We’ve officially entered a modern era of snack eating, with 91% of consumers snacking multiple times throughout the day. "The Future of Snacking 2016" from the Hartman Group illustrates how essential snacking is to the American diet. Snacking is an essential component in most Americans’ daily eating habits and currently accounts for 50% of all eat occasions. Snack foods continue to be predominantly eaten between meals, however snack foods eaten at main meals now account for 24% of all snack food consumption; that’s up 21% in the last five years and is forecast to grow an additional 12% by 2024 according to "The Evolution of Eating", a 2017 report from the NPD Group. Driving the snacks-as-meals trend are Generation Z and Millennials, who are more comfortable eating alone than other generations. Add to that, snack foods offer a low-cost, smaller-portioned alternative that fits that their on-the-go lifestyle. There are 12 billion snack visits made to restaurants and other food service outlets. When snacking replaces an away-from-home meal, the meal is most often lunch. In fact, 48% of food service snack visits occur during the lunch time frame. Morning snacks represent 23% of food service snack visits and evening 30%. “Although consumers are not adding new snacking occasions to the day, there is a shift in what’s eaten at main meals and how snacking is viewed,” David Portalatin, vice president, industry analysis, The NPD Group was quoted as telling Food Business News for their Snack Trend feature in 2016. And while snack packs are still ideal for tossing into kids’ lunchboxes, the foods in those convenient little packages have shifted to reflect healthier lifestyles. Pre-portioned fresh fruit and refrigerated yogurts rank among the top snack foods included in main meals. Thin is also in, with thinner iterations of pretzels, cookies and crackers offering consumers the satisfying taste and texture of the full-sized food but with portion- and calorie-control build right in. Changing dietary habits are driving changing snack packaging and production considerations. That's in turn driving changing expectations of vertical form/fill/seal machinery commonly used for snack packaging of chips, nuts, dried fruit, jerkey, savory snacks and more. Meeting tight production demands for snacks hinges on equipment that’s designed for speed, efficiency and simplicity. 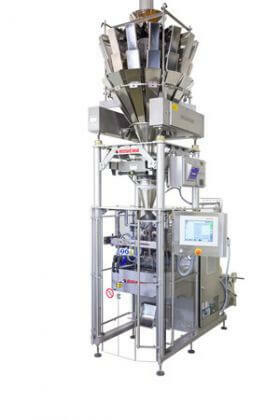 Those were the key considerations behind Rovema’s BVR 230 Packaging System, an ultra-hygienic, continuous motion vertical bagger for forming/filling/sealing that’s tailor-made for optimized snack product packaging. Rovema recently updated the unit to include modernized electronics and control mechanisms to deliver an even more optimized and user-friendly experience, with an output of 180 formed, filled, and sealed bags produced each minute. The BVR 230’s controlled vacuum support deftly draws down films for standard pillow bags, pillow chain bags, and pillow bags with shelf-hanging holes, while its all-in-one filling tube and rotating sealing jaws combine for superior seal integrity. A complete turnkey solution, it is also equipped with an integrated metal detector and scale. In the highly competitive snack industry, speed and efficiency are paramount. That's often tracked as an OEE performance metric. Interested in optimizing your VFFS OEE in your snack packaging operation? Download our free guide that offers insights and tips on how to do so.